This homemade cinnamon rolls recipe is a keeper! 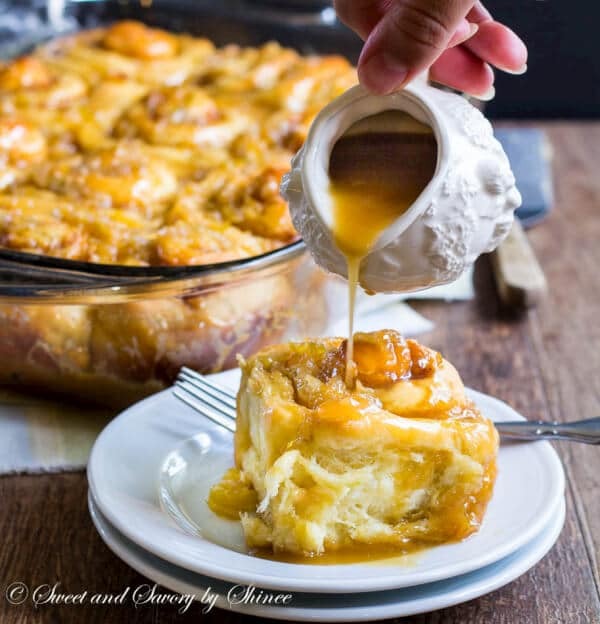 Packed with juicy apples and smothered with apple caramel sauce, these cinnamon rolls are simply the BEST! I think about food all the time. (Surprise, surprise!) And guess what? I even started developing recipes in my dreams now. 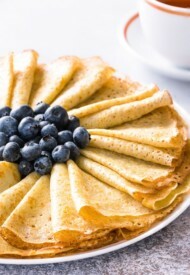 Last Saturday morning, I’ve been in the kitchen preparing delicious weekend breakfast. It smelled fantastic! Fresh cinnamon rolls were baking in the oven, apple caramel sauce was bubbling on the stovetop, and fresh coffee aroma filled the room… And bam, all that disappeared in a flash! I opened my eyes! That’s what happened. No fresh cinnamon rolls, no caramel sauce, no coffee. It was one colorful dream, but it was so real! The good thing though, it was so vivid that I actually remembered exactly how I was making those apple cinnamon rolls! I had to recreate those delicious-smelling rolls from my dream that I never got to taste. To my surprise, they turned out fantastic. 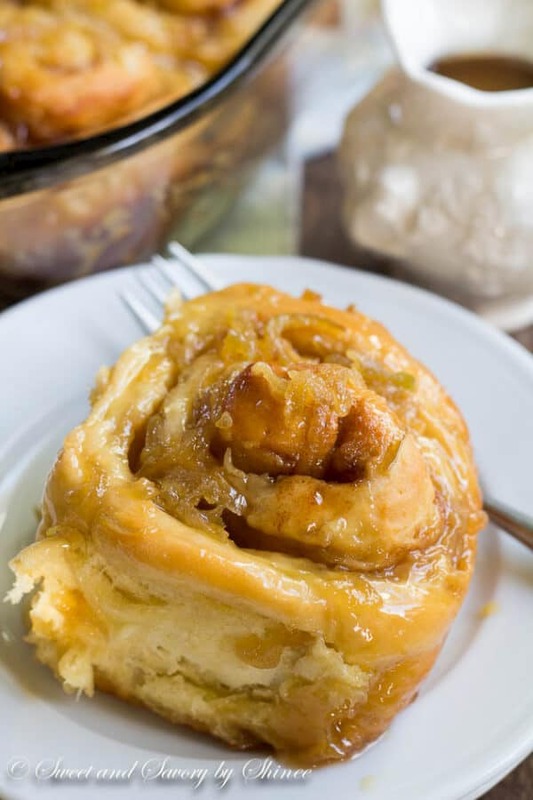 Super soft and moist rolls with caramel sauce that’s simply to die for! I’m serious, all that shredded apples in the dough created amazingly soft rolls. And apple infused caramel sauce was an amazing compliment. The recipe is fairly straightforward, but it does require some patience. Waiting for the dough to rise is the hardest thing for me. 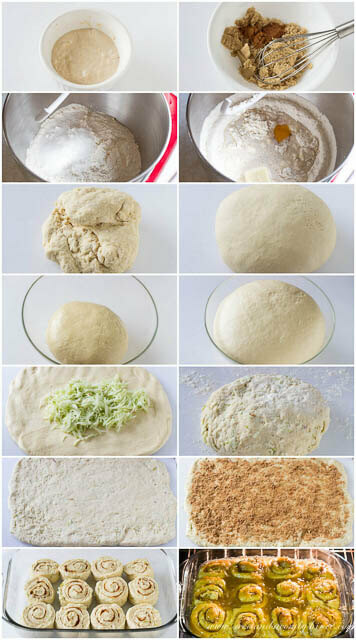 It’s important, though, to let the dough rise sufficiently in order to enjoy the most amazingly soft rolls. There is nothing to be afraid of yeast-risen dough. Just remember, it loves warm and humid environment. That’s why I place my dough in the microwave with a glass of hot water. Because it’s such a tight space, hot water creates warm humid environment that’s perfect for the dough to rise. Note, you don’t need to start the microwave; we’re just using it as an insulated box, if you will. Now, when you knead the dough with shredded apples, you’ll think that it was a waste of your time and that it will never going to work. Trust me, everything will be just fine. It will be extremely sticky and messy for a moment, but add flour little by little and keep kneading. The dough will come together again, but it’ll be pretty soft and slightly sticky due to apples. The reason we are not adding apples at the beginning is because the dough will be too heavy and it won’t rise properly. 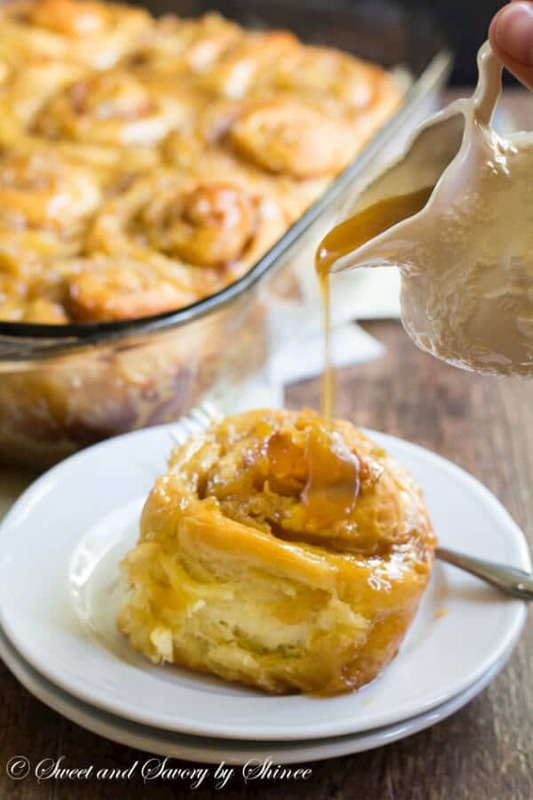 And from here, just follow the directions in the recipe, and you will be enjoying fluffy apple cinnamon rolls in no time. I’m telling ya, worth every effort! Now it’s your turn to make this dream come true! 1. In a small bowl, dissolve the yeast in ¼ cup (60ml) lukewarm water. Let it sit for 10 minutes. The mixture should become foamy, which means the yeast is active. 2. In a separate bowl, whisk together brown sugar, cinnamon and nutmeg for filling. Set aside. 5. Roll the dough out into a 15×19 rectangle. Spread the melted butter all over the rolled dough, and sprinkle sugar mixture from step 2. Roll up the dough into a log, and cut into 12 equal rolls. Put the rolls in greased 9x13in (23x33cm) baking pan. 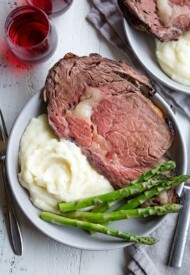 Cover it with a kitchen towel and let it rise for 30-60minutes, or until doubled in size. 6. Preheat oven to 350°F (177°C). Bake the rolls for 25-30 minutes, or until golden brown. 7. While the rolls are baking, make the apple caramel sauce. 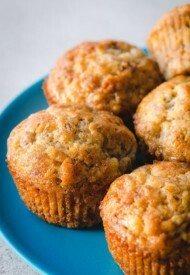 In a medium saucepan, melt the butter and add the remaining ½ cup of shredded apple and brown sugar. Once the sugar is melted, pour in heavy cream and cook for about 5-7 minutes, whisking frequently. Add vanilla extract and salt. Taste and make sure you’re happy with the flavor. Add more vanilla extract or salt, if needed. Cool slightly. 8. Pour half of the caramel sauce over the rolls 5 minutes before the rolls are done. Continue to bake for 5 minutes. Cool on wire rack. Serve with remaining caramel on the side. Ooooh these are genius! 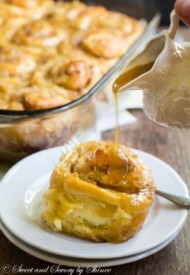 I love apple cakes, and know that I would absolutely love apple cinnamon rolls! Dear Shinee, these look super delicious!!! I want a dream like that, but I want the reality too! Great tip about dough rising in the microwave w/a cup of hot water. Will have to remember that for future! Oooh, these cinnamon rolls look fabulous! I was just watching an Anna Olsen show and she made one then I was browsing on your site and saw this! It’s meant to be! Okay…so glad I didn’t see this before going to bed last night…I would not have been able to sleep! At least I can do something about it today! Love this! Kim, I think you can. I make my caramel rolls the night before, refrigerate and then let it stand for 30min to rise at room temperature before baking. However, I haven’t tested this method with this recipe. I was actually planning to test this weekend. 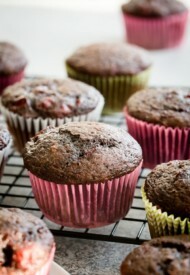 They look so delish, can’t wait to make them soon…What kind of apple did you use? What a perfect recipe for the winter months when you have to stay inside anyway. Yes, perfect for those cold weekends! I used the apples from our ranch garden, not exactly sure what kind they are. They were crispy and tart. Thank you for your comment, Lee. I just updated the step 3 of the recipe to add the yeast mixture. (Sorry about that.) You did add it at the right time though. As far as the yeast amount, 2 teaspoons of yeast is the correct amount. Mine more than doubled in size, as you see on the picture. Where did you place the dough to rise? Was it warm enough for the dough to rise? I usually put my dough in the microwave with a glass of hot water to create warm and humid environment. Please note that the dough will take much longer to rise in a cool place. Also, did you dissolve the yeast in lukewarm water (not cold and not hot)? Cold water won’t activate the yeast, and hot water will kill the yeast, so it’s important that water temperature is just lukewarm. After 10 minutes was the yeast mixture foamy? If it wasn’t foamy, that means the yeast was not good, and that’d be why the dough didn’t rise properly. I’m so sorry you had such a trouble. I hope you will give it another try. They are so good. What a fantastic seasonal twist on cinnamon rolls! I’m sitting here this Saturday morning really wishing I had these in the oven. Looks delicious! Thank you, Nicola! I’m planning to make it again tomorrow. They were super good! Wow these apple and cinnamon rolls look delicious! I have only ever made plain cinnamon rolls before so you have definitely inspired me to add apples next time. Thanks for the idea!